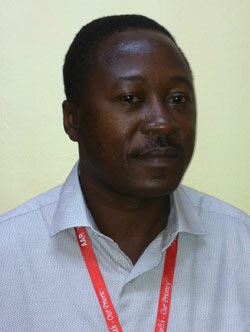 TanzaniaInvest spoke with Mr. Kain Mbaya, Country Director of AAR Insurance in Tanzania. TanzaniaInvest and Mr. Mbaya discussed Tanzania’s Insurance Sector, AAR’s development strategies, ambitions, challenges, and what lies ahead for Tanzania. TanzaniaInvest.com: Can you give a brief overview of the current situation with health insurance in Tanzania? Kain Mbaya: Since liberalization in 1996 a number of international insurance companies and brokers have set up in Tanzania, however the penetration of Health Insurance is still very low. TI: It is estimated that only 7% of Tanzanians use insurance services. Is the current number of Medical Insurance Players enough to satisfy the demand for insurance services? My view is that the number of Medical Insurance Players is enough. There is need for them to educate the market about health insurance and also to come up with relevant and affordable products. If this happens the coverage will increase. TI: What are the greatest challenges to health insurance penetration in Tanzania? KM: The greatest challenges are that unlike in other countries e.g. South Africa, Tanzania does not have a Health Funders Board (HFB), which is a group representing insurers, the regulator, and health professionals and hospitals. Such a board would regulate the activities of the market. For example a Hospital will not just increase its charges without the approval by the HFB. More importantly a Health Funders Board will ensure the balance between Access, Quality and Cost of Health services is achieved and maintained. This to me will ensure a sustainable growth of Medical Insurance. The other challenge is that the cost of delivery of health services in Tanzania is high and as a result the cost of insurance goes up each year and this is not sustainable. TI: What is the key to your success and leadershipin health insurance in Tanzania? KM: AAR started its operations in 1984 as a company meant to deal solely with evacuation of medical and accident casualties. Today AAR is the largest and most successful private health care company in East Africa. The key to our success has been the vision of our leadership at the top. Our belief has been strong that the capacity was there to develop a sustainable brand, underpinned by strong core values. The heritage and legacy has been strong. TI: What are the pillars of AAR’s ongoing development strategy? KM: AAR has been focusing on three key strategic pillars: profitable growth, operational excellence, and people development. In terms of profitable growth, we have consistently aimed at ensuring that we are a preferred partner by our suppliers and customers. In the last few years we have turned our attention to profitable growth with return on capital and economic profits as our primary measures of success. Our goal is to deliver more value and getting paid fairly for it. Our objective is to outpace the markets we serve on the top line and grow economic profits substantially faster than sales. In terms of operational excellence, we always aim to enhance efficiency, sustainability, meeting our promises, and great customer experience. Medical Insurance business is an emotive business and therefore operational excellence is everyone’s responsibility to ensure a sustained customer experience. No one knows his or her job better than the person doing it. Everyone at AAR is encouraged to seek opportunities for process improvement and innovation. Operational excellence directly impacts top line and bottom line performance by increasing customer satisfaction while increasing productivity, which further distances us from our competitors. And finally, in terms of people development, AAR attracts, engages, develops and rewards our best employees. AAR strives to help all employees meet their potential. In each of the past five years, we have been using a performance management tool called the Balanced Score Card, which has helped us, among other things, keep track of the developmental needs of our staff. A number of surveys conducted in recent past show that our people have an excellent understanding of AAR’s business goals and how their jobs contribute to achieving them. They also understand our core values, feel they are treated with respect, and believe AAR conducts business with honesty and integrity. Additionally, all employees are expected to maintain professional development plans. We take great pride in knowing our success is grounded in AAR’s culture of performance and values. TI: What are your ambitions in term of market share and sales and what the challenges ahead? KM: Let me begin by saying that we have opted as AAR instead to promote and sell opportunities and possibilities. Fear, risk, loss, struggle and life’s complexities will no longer define our insurance perspective or approach. We desire to build a brand that assures us that we can capacitate our clients and critical partners to better and holistically own the decisions that will drive insurance investment so that it becomes an absolute ‘must-have’. Through our various products and services, quality of client engagement, operational efficiencies, communication style, and ultimate business behavior, we ensure that we give our clients and partners the capability to take better control over insurance decisions that most impact on the people, and investments that matter most. In terms of Market Share we shall continue to aim for Profitable Growth in the Medical Insurance line of business but more importantly venture into other short term insurance product lines. This will create a new avenue for growth in market share. The new IT systems we are rolling out will create a fantastic platform for this growth. TI: What sort of challenges lie ahead for AAR? KM: The Medical Insurance Industry needs more order. There is need for more collaboration among Medical Insurance Players, and also corroboration between Medical Insurance Players and the Health Care Providers. This collaboration is lacking and as a result key aspects required for a sustainable Medical Insurance Industry of access- price and quality- are not in balance. The Medical Insurance Players are not creating any new markets but fighting for the same clients. We are in a “red ocean state” and there is no innovation. This has resulted in insurance risk rising but premiums coming down due to price undercutting to gain market share. TI: How would you describe what is going on in Tanzania and what is the country all about? KM: I personally believe that Tanzania is one of the top countries in Africa where great sustainable economic growth opportunities lie. There will be a lot of action with gas and oil discoveries, especially over the next two years. The Government has the wherewithal and financial power to address the power shortages, and infrastructure development is accelerating. These are all good things. The spillover effect of Oil and Gas discoveries is also that there is an emerging middle class in an accelerated fashion and this is exciting for our business. Anywhere in the world where there is an emerging middle class, insurance has thrived and we therefore need to position ourselves to be able to respond to the market with products that are relevant to them.